Dr. Ashok Khosla A pioneer in the academic study of environmental issues, Dr. Khosla was recognized by the Zayed International Prize for his global leadership in advancing knowledge and practice on environmentally sustainable development approaches. Among other things, he has been a major thought leader on the importance of biodiversity and ecosystems to human well-being, and in the relationship between technology and policy. He has also been instrumental in building bridges between government and civil society. In the early 1960s, before the environment had become a prominent public issue, Dr. Khosla was a leading member of the team that designed and taught the first undergraduate course on the environment at Harvard University. He also became the founding director of the Government of India's Office of Environmental Planning and Coordination, the first national environmental agency in a developing country. In 1983, he founded the Development Alternatives group (DA) of organizations, whose mission is to help make national development strategies in India more environmentally and socially sustainable.DA’s achievements include the introduction of more than 15 new environmentally sound and commercially viable technologies, such as machines for weaving handloom textiles, making recycled paper and fabricating low-cost roofing materials. 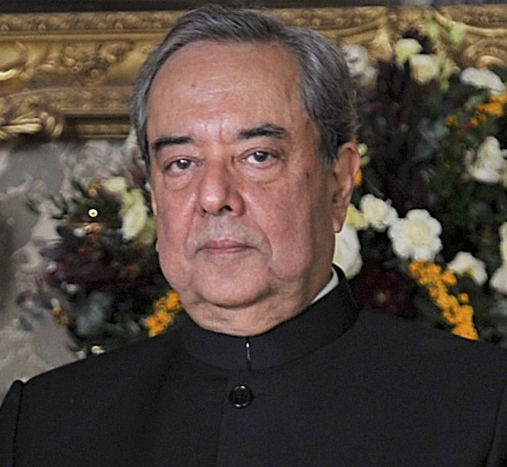 The organization is also known for the creation of more than 300,000 sustainable jobs in India.The jury recognized Dr. Khosla’s long-standing roles with UNEP, IUCN, the International Resource Panel, the International Institute for Sustainable Development, the World Bank and many other institutions.